Product prices and availability are accurate as of 2019-04-19 13:28:46 EDT and are subject to change. Any price and availability information displayed on http://www.amazon.com/ at the time of purchase will apply to the purchase of this product. 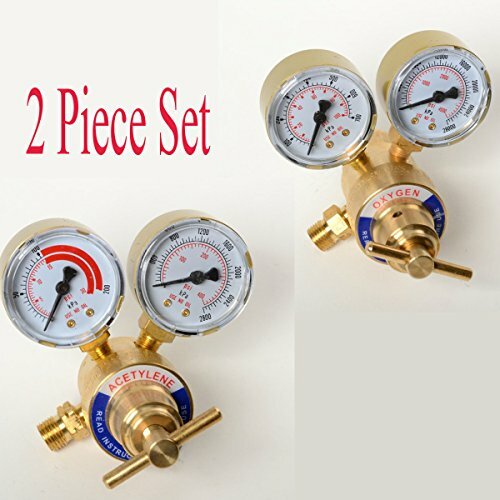 Replacement Acetylene And Oxygen Regulators Made of solid brass. 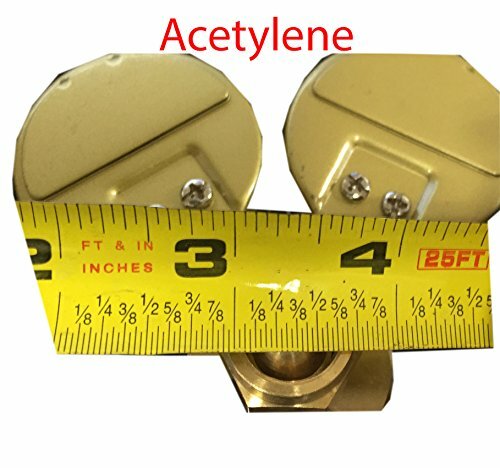 Regulator for Acetylene is a single stage regulator with a 2" diaphragm. It has a CGA 200 rear entry. This regulator has a recommended delivery pressure range of 0-15 which is more than enough for cutting steel. Replacement Oxygen Regulator made of solid brass compatible to Victor type Kits. 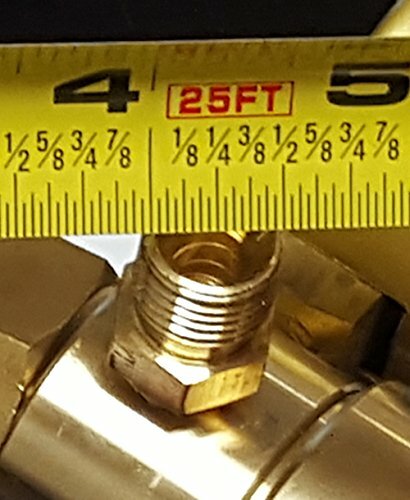 2PC Set Regulators Exceeds Industry Standards Precision Manufacturing Improved Design Standards Threads: inner 7/8" outter 1/2"